We have another party trend for you Lovelies that has been popping up everywhere and it is definitely sweet! 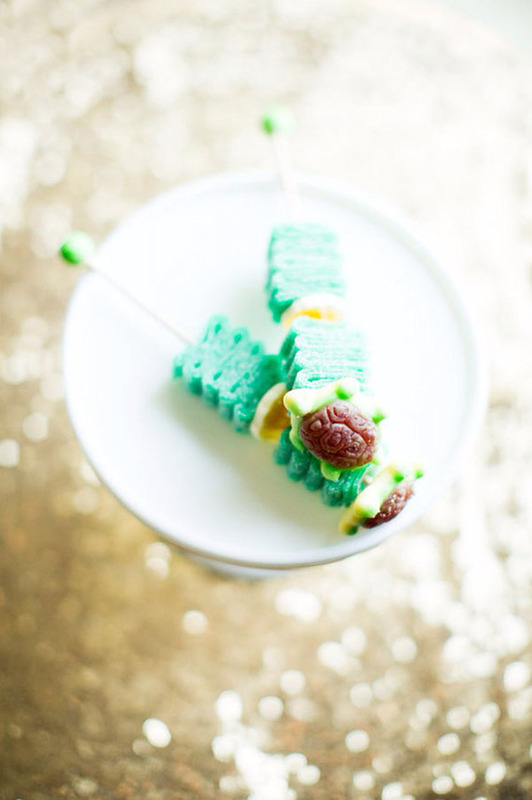 Candy kabobs have been making their way into the event and party scene this year on candy buffets and dessert tables and they are totally amazing! 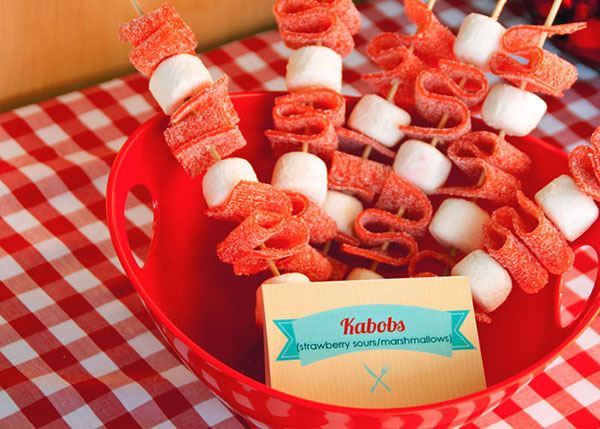 Basically they are exactly how they sound, candy on a stick that totally look like kabobs. 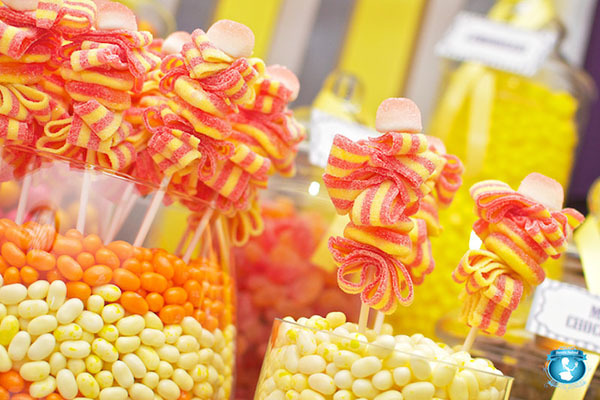 Any candy can be used and usually they are in a certain theme to match your party theme. 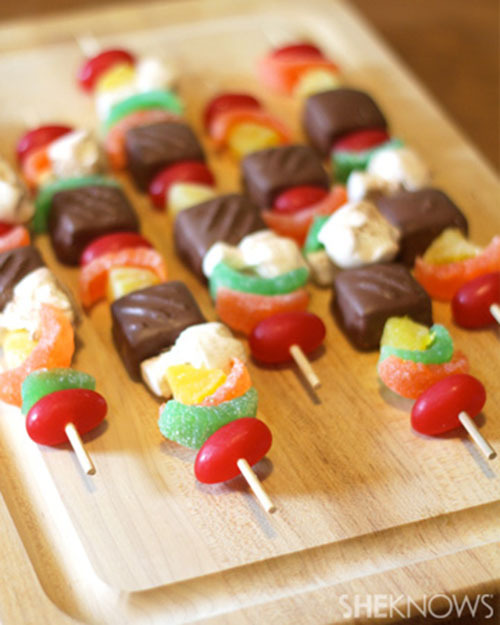 We have even seen mock BBQ kabobs that are all candy for a fun summer treat! 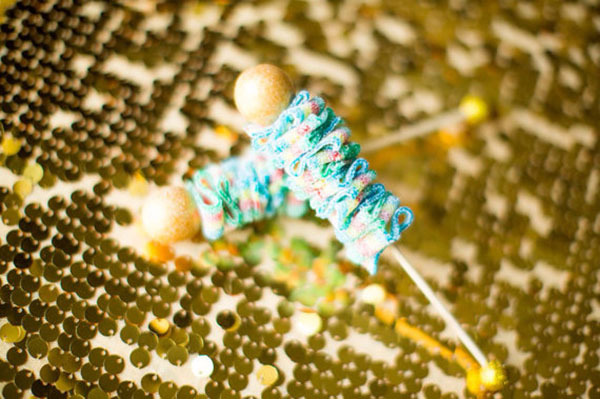 We love the ones with the rock candy sticks with colored wooden balls at the end for that added detail too. You can have these at almost any party, for any occasion and as a cute detail on a candy buffet or just a fun dessert. 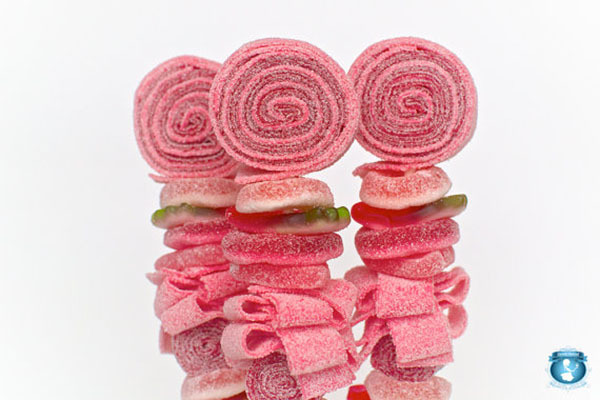 Needless to say, candy kabobs are a seriously lovely detail that you should start incorporating into your designs. Let’s get to this eye candy!